As you prepare for your next film production project, you may be considering aspects such as scripts, cast, and shooting locations. However, you may be forgetting one of the most crucial elements of a successful production: choosing an insurance policy. This is where film production insurance comes into play as a key contributor to your success. Film production insurance is a staple for filmmakers as it protects producers, film crews, and production gear. If you require protection on a project by project basis, short term film production insurance may be the best option for you. Production insurance can cover just one day of filming or can extend for several months. Learn more about short term film production insurance, what it covers, and why it is important for filmmakers to obtain. What Types of Production Insurance are Available? No two film projects are the same. Therefore, it is important to work with an experienced entertainment insurance broker to find a policy that meets the unique needs of the production company. The three main types of film production insurance include short term, long term, and DICE annual. Short term film production insurance is often recommended for quick productions of fewer than 60 days or for film projects with a budget totaling less than $1,000,000. Short term production insurance is often used for productions like commercials and television shoots. Filmmakers who plan to shoot multiple times throughout the year should consider long term production insurance. Long term or annual policies are best suited for active production companies. DICE, which stands for Documentaries, Industrial, Commercial, and Educational Films, provides coverage for one year on certain types of productions. DICE can cover productions up to $5 million to produce, as well as multiple projects on a renewable annual basis. What Does Short Term Film Production Insurance Cover? Short term film production insurance offers a wide range of coverage options designed to keep your crew and gear safe and your production running smoothly. One of the most common types of coverage offered by production insurance is general liability. This broad type of insurance protects against certain business risks, such as claims involving bodily injuries and property damage. Production insurance also provides coverage for automobile liability, including physical damage to vehicles used for video productions. Other types of coverage offered under short term film production insurance includes inland marine coverage that can protect rented equipment, props, sets, owned equipment, third party property damage, cast, and negative and faulty stock. Workers compensation, excess liability, and travel accident coverage may also be included under a short term film production insurance policy. It is important to understand that short term film production insurance only covers certain types of video production. This may include, but is not limited to, animations, commercials, demo reels, documentaries, music videos, trailers, training videos, TV series, and infomercials. What States Require Production Insurance? 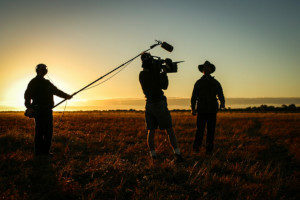 There are many reasons filmmakers choose to acquire short term film production insurance. One of the most important reasons to obtain insurance is to meet legal obligations. Almost every state in the U.S. carries legal restrictions that requires production companies to carry some type of insurance. For example, workers compensation is a type of insurance coverage that is required by all 50 states. You may also be required to get film production insurance if you have an agreement with a client, such as a record label or television network, which requires you to maintain a policy. Check with your local municipality to determine if you need insurance. 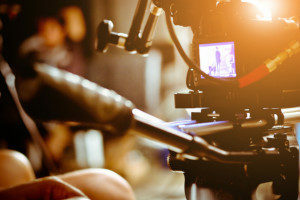 Whether you are just starting out in the film production business or have multiple successful productions under your belt, having short term film production insurance is a must. Just one small snag can cause extensive delays and possible financial hardships. Production insurance is designed to protect your film against certain types of risks, such as personal injury, property damage, and other unforeseen situations. It can be used to cover everything from broken legs caused by stuntman accidents to broken equipment during vehicle transfers. It may also be used to cover other types of claims, such as defamation and infringement of intellectual property. Finding the right type of film production insurance is an important responsibility for filmmakers and production companies. It is not only important for protecting your crew and gear, but may also be a necessary step that must be taken to meet contractual obligations when using certain locations or renting equipment. 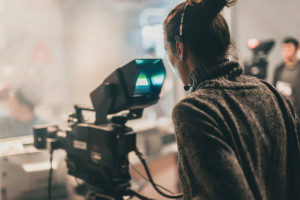 As finding a short term film production insurance policy that is tailored to your unique needs can be tricky, it is wise to work with an experienced entertainment insurance broker. For more information about short term film production insurance or to apply for a policy, contact an entertainment insurance broker at MFE Insurance.